Hummel®, the name paints its own picture. Perhaps no other figurine has had the longevity of M.I. Hummel figurines. Started by Goebel more than 60 years, the figurines are the creation of talented sculptors translating the drawings of Sister M.I. Hummel, a talented artist from Bavaria. M.I. 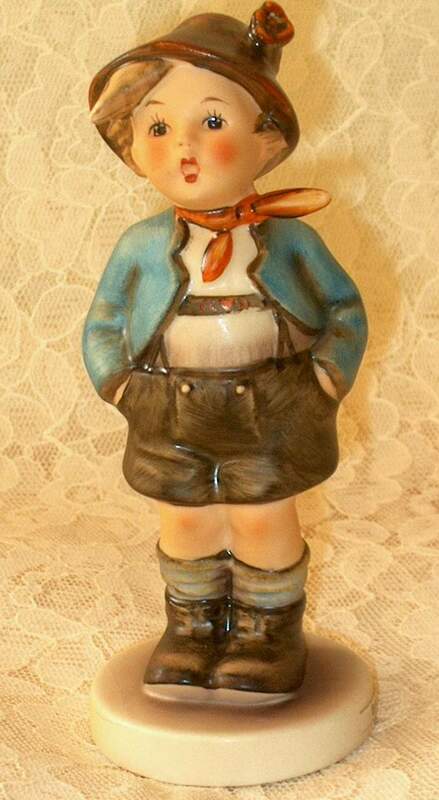 Hummel figurines became popular shortly after World War II when soldiers returning home from Germany, brought back these figurines of children in their charming Bavarian garb. Hummels became an almost instant success and have been passed down through generations. Sister INNOCENTIA of the sisters of the Third order of St. Francis. Franz Goebel head of W. Goebel Factory first became aware of her talents in 1934, and in 1935 her shetches of children and serene religious figures were transformed into M. I. Hummel figurines. These figurines continue to charm the world even today. In 1946 her young life, full of spirit and love came to an end. She died at the young age of 37 after a long illness.